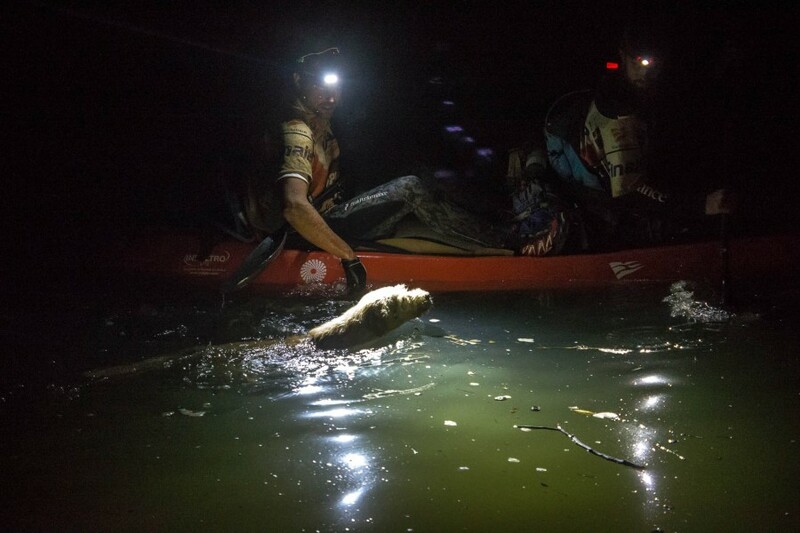 Editor’s note: Adventure racing is a brutally tough endeavor, pushing athletes to the limits of endurance and mental dexterity, day after day, with little or no rest. 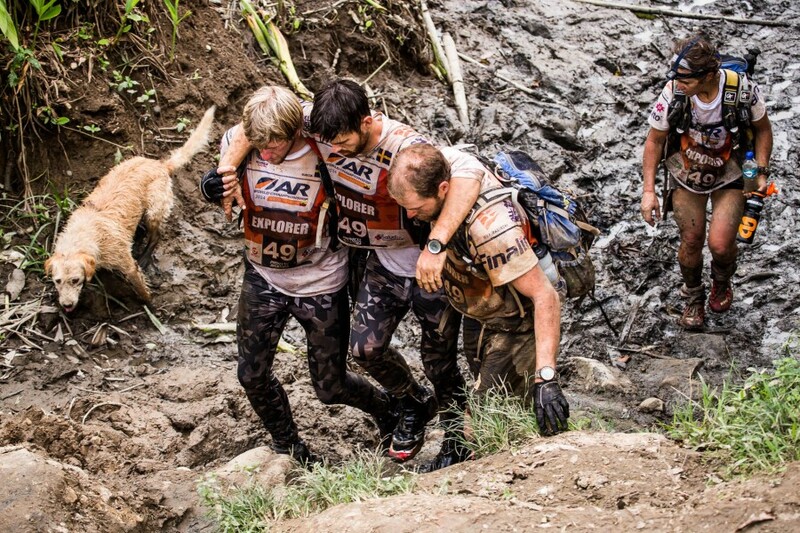 And among the hardest are the world championships, held this year in Ecuador. 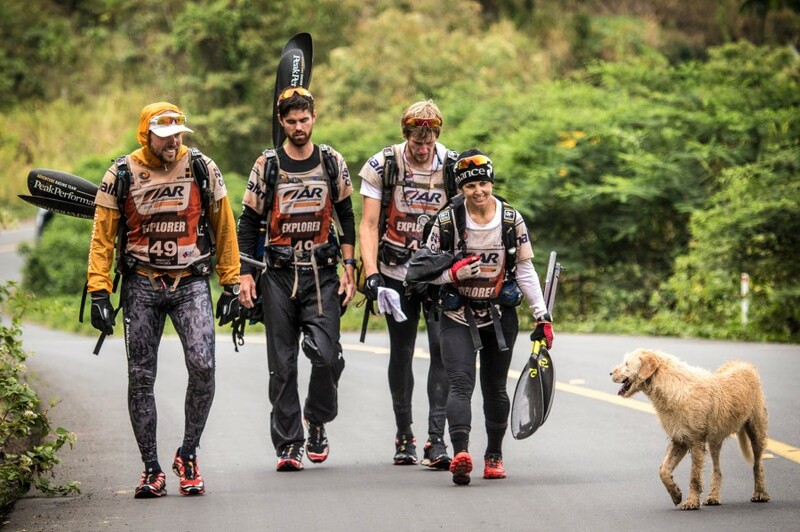 This is a story of a stray dog who voluntarily joined one team. UPDATE: Arthur has been adopted! 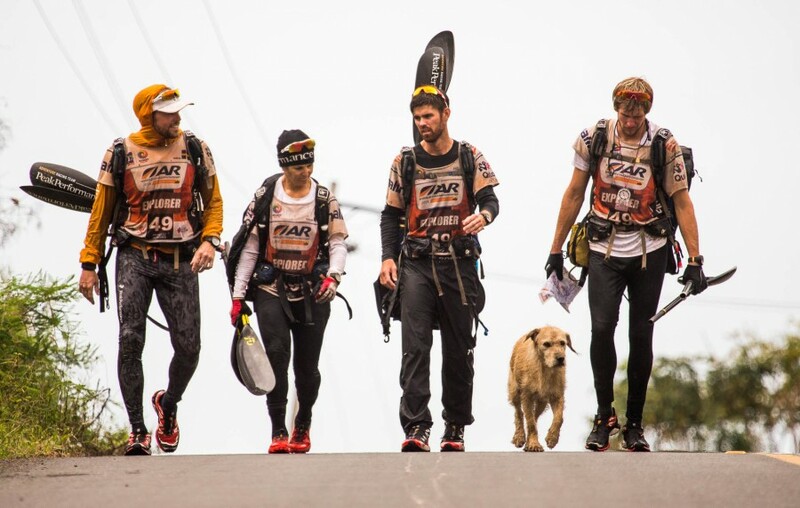 When they arrived at the next transition point teammate Simon Niemi was severely dehydrated and needed to receive medical attention. Arthur loyally stood guard and waited for the team to recover. 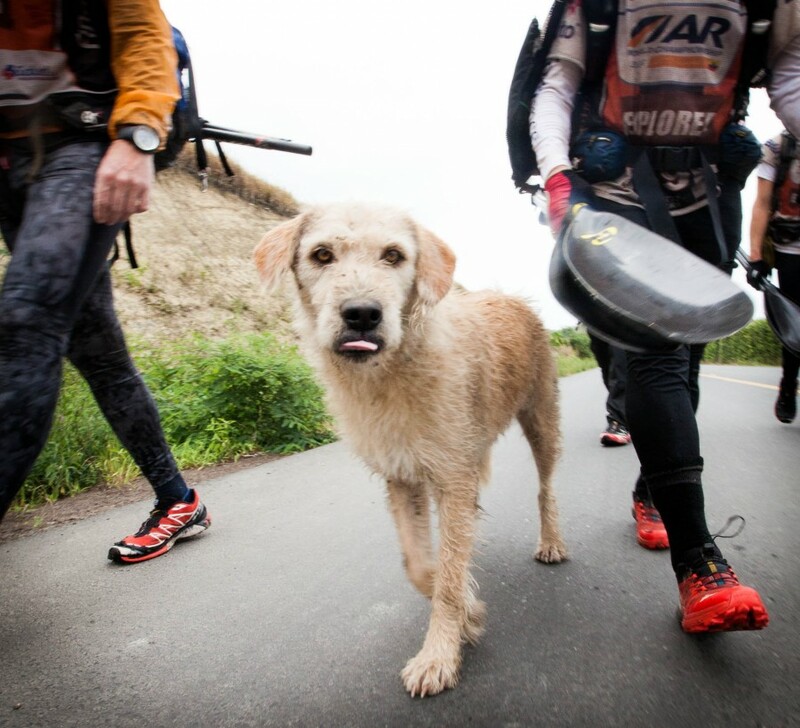 As the team prepared to embark on the final section of the race — a 59 km coastal kayak — race organizers warned against taking Arthur as it would be difficult and dangerous. The team respected this and started off, leaving Arthur on shore. He refused to be left, though, and he started swimming after the team. Mikael is now working with local authorities and pet experts in Sweden to bring Arthur home with them and have received great support from the public through a Paypal donation site and from their sponsors.